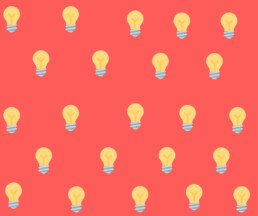 Prototyping - Why Consider it? Are you in charge of designing a new part, but are concerned that the features or design concept will work differently than the way you designed on paper? 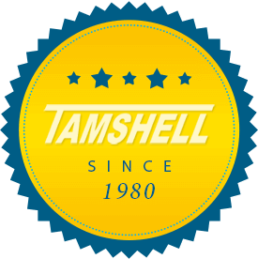 Well you are in luck because Tamshell now offers prototyping, that way you can evaluate and test your design, as well as, clarify production costs and issues before you order large volumes. A prototype is a preliminary model of a part, that is used to test or validate ideas, and design concepts, so that you can make appropriate refinements if needed. You can – and should use prototyping when ordering newly designed parts because It gives you the opportunity to sit down with a real version to determine which aspects are worthwhile, and what features need to be revised or discarded before investing time and money into development. Unfortunately, we are too often asked to machine tens of thousands of parts for customers before they’ve tested their new design – – only for them to discover the part isn’t what it needs to be. How Many Prototypes is Too Many? A main benefit of prototyping is that you can test your design as many times as needed, but if you continue to get the same results after your third, fourth, and/or fifth prototype it might be time to scrape the idea all together. You will notice you’re on the wrong track when the mild changes you’re making aren’t converging with your goal. This indicates that you are making wrong assumptions, and it’s time to go back to the drawing board and think of different ways to solve the issue you are having. During the prototype phase there is one thing you cannot forget, your customers. Just like it is easier for you to see what features do and do not work when holding an actual prototype model in your hands, it is also easier to sell a product to your potential customers if you review the prototype with them first. This allows them to give you their feedback before you have finalized and began ordering units — because remember if they don’t like it they won’t buy it. Should You Consider a Patent? Would you want to design a great part only to have another company steal your idea and begin producing a very similar product all because you forgot to patent it? I think not. By ordering a working prototype you are giving yourself the opportunity to sit down with an attorney to discuss what design aspects can be patented. Also, it allows for the attorney to review your part to ensure your design is not violating any patents to save you from future lawsuits. Contact one of Tamshell’s sales representatives today by emailing: Sales@Tamshell.com or by dialing: 951-272-9395 to receive your free prototype quote! Feel free to also ask them any other questions you may have. We look forward to working with you.